The West Central Blogger: Road trip to...? 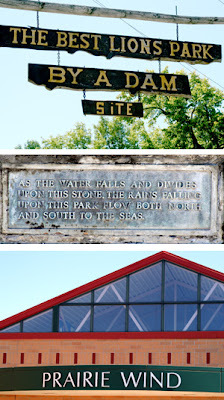 Can you name the towns where these three signs reside? These towns are quite different from each other, and yet there's one thing that brings them together. Can you guess what it is? Post a comment if you know! Top: Park outside of Frazee, and home of the world's largest turkey! Middle: Fountain in New York Mills. The town is on the Northern Divide. Water flows either north or south. Bottom: Prairie Wind Middle School in Perham. What brings these towns together? Highway 10. The towns are about 10 miles apart.